Madison Bumgarner and Clay Buchholz each threw masterpieces Tuesday night on the shores of McCovey Cove, pitching around errors and a handful of tough situations on both sides. Both put up seven zeroes. There was a time when Bumgarner even looked headed for San Francisco’s first complete game of the season. Ultimately it was a bullpen game decided in walkoff fashion as the Giants (67-67) took a 1-0 victory over the Diamondbacks (72-60), after Will Smith (W, 2-2, 1.80 ERA) pitched a clean ninth, allowing San Francisco to creep back to .500 for the first time since August 15 in dramatic fashion. Despite several rallies, San Francisco’s offense couldn’t pull the trigger on Buchholz (ND, 7-2, 2.07). In the second inning, Brandon Belt took a base after a pitch headed for the dirt hit his foot. Brandon Crawford then reached on a fielding error by Diamondbacks shortstop Nick Ahmed, his second in as many innings, putting the bases at maximum Brandon capacity. But Austin Slater killed the rally when he grounded into a double play. Joe Panik helped kill two rallies that followed, in the third and fifth. Andrew McCutchen drew a two-out walk and Panik followed with a liner to center that was an easy single. But he tried to stretch it into a double. Initially called safe, umpires in New York ruled him out on the close play, and that was the end of that. He also flied out to center in the fifth with two on and two outs to shut down a second scoring opportunity. 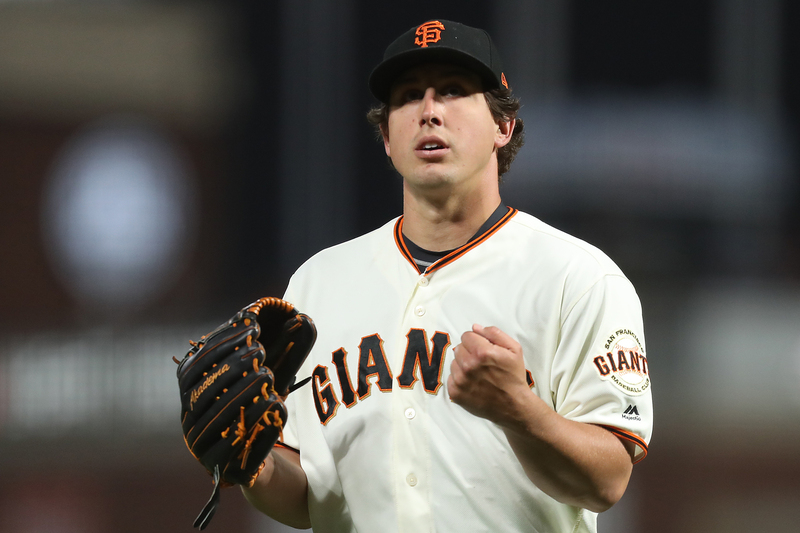 Meanwhile, Bumgarner breezed through the first five innings on 66 pitches, allowing just two hits, but Paul Goldschmidt, usually kryptonite to the Giants, led off the sixth with his first hit of the series and Bumgarner then walked Eduardo Escobar. A batter later Nick Ahmed singled to load the bases. Bumgarner induced a groundout to Evan Longoria who threw home to keep the bases loaded and prevent the D’Backs from scoring. A fly ball to center from Jeff Mathis ended the threat. Things got sticky again in the seventh when, with one out, Slater misplayed a lazy fly ball from Jon Jay allowing it to bounce off his glove and back to the wall. Jay didn’t stop to ask questions, making it to third on the error. Bumgarner then issued a walk to A.J. Pollock to bring up Goldschmidt. At 101 pitches, with Sam Dyson ready to go in the bullpen and with a runner at third in a scoreless game in the seventh inning, Bochy showed for the umpteenth time just how much he trusts his ace. There was no mound meeting. The skipper did not even flinch. And yet again Bumgarner showed Bochy, and 37,276 at the park, that trust is not misplaced, inducing a harmless infield fly from ‘Goldy’ and a groundout from Escobar on six pitches, ending the inning and his night. Dyson did come in to pitch the eighth inning and it set the stage for a stunning play from the Giants up-and-coming star center fielder Steven Duggar. After Dyson allowed a one out single to Ahmed, a batter later pinch-hitter David Peralta hit a two-out line drive to center that looked like a no-doubt RBI double. But Duggar cut the ball off, firing in to Crawford who sent a strike to Nick Hundley. Ahmed sat stunned in the dirt at the plate after being tagged out in a not-even-close play as the Giants exited the field. Duggar was actually responsible for the winning knock in both Sunday’s and Monday’s matches, so it turns out Bumgarner can have his cake and eat it, too. After Smith’s scoreless top of the ninth, the Giants, always with a flair for the dramatic, finally put together the only rally they would need to untie the knot, but it was not without collateral damage. Duggar drew a one-out walk from Brad Ziegler (L, 1-6, 4.26 ERA) and a Hundley single moved him to second. But after taking a very wide turn around third Duggar thought better of it and scampered back, diving into to second. He appeared to injure his left shoulder on the tag from Ketel Marte, though, which he believes briefly popped his shoulder out of socket. There was a brief delay in which he was examined and evidently he made a convincing argument to stay in the game. Jake Diekman came in to face pinch-hitter Gorkys Hernández with runners on first and second, and with one pitch Hernández cashed in on what turned out to be the only rally the Giants would need to take victory over the division-leading D’Backs. San Francisco will aim for the series sweep in Wednesday’s finale against the Diamondbacks at AT&T Park. Dereck Rodríguez (6-1, 2.30 ERA) will take on Arizona’s right-hander Zack Godley (13-7, 4.59 ERA). 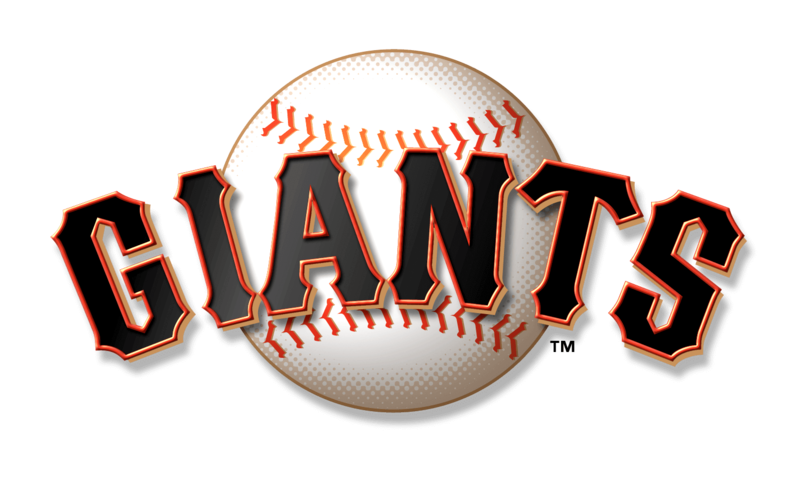 With Tuesday’s win the Giants secured the series victory over the Diamondbacks and they have now won four straight. … San Francisco starters have notched a 1.32 ERA in their last eight games and have thrown six or more innings and allowed two or fewer earned runs in each of those games. 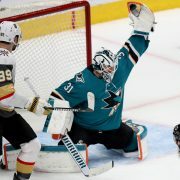 … Buster Posey is resting comfortably and doing well a day after undergoing arthroscopic hip surgery to repair a torn labrum in his right hip in Vail, Colorado, and Bochy confirms the plan remains for him to return to the Bay Area Thursday. … Jeff Samardzija will be examined by orthopedist Dr. Timothy McAdams Wednesday at Stanford with regard to his ongoing right shoulder injury.